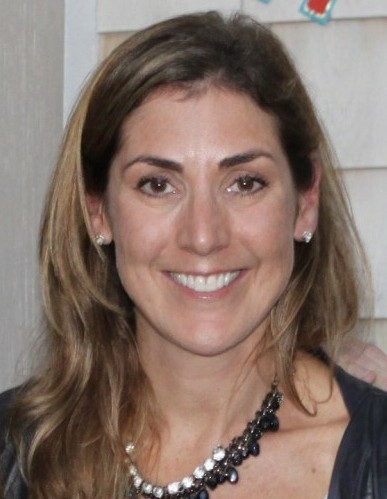 Patricia A. Kelly, 46, died Tuesday morning March 19, 2019 at Massachusetts General Hospital in Boston. She was born in Winchester, MA on November 2, 1972 to Joseph and Teresa (Dennis) Boress. She was raised in Everett and was a graduate of Everett High School. Following her graduation Tricia started her career in Boston working in the travel and finance industries and then met and married Scott Kelly and became a Life Coach. The couple lived in Amesbury where they raised their family before settling in Hampton Falls. Tricia was a stay at home mom and nothing gave her more pleasure than spending time with her family and friends, especially at the family log cabin in Fryeburg, ME. She also enjoyed traveling. Ireland and Australia were favorite destinations and recently, Jackson Hole in Wyoming. In addition to her parents, Tricia is survived by her husband Scott and daughters Jenna and Megan of Hampton Falls, siblings, Marie Roderick of Fremont, NH and David Boress of Fremont, NH, as well as nieces and nephews, Nicholas and Emma Roderick and Sophie and Tabitha Kelly. She was predeceased by her brother John Boress of Lynn. Family and friends may call Friday March 22, 2019 from 3:00 to 7:00 PM at the Twomey, LeBlanc, & Conte Funeral Home 193 High St. Newburyport, MA 01950. Parking available behind the Funeral Home. Her Funeral Mass will be celebrated at 10:30 AM on Saturday March 23, 2019 at Immaculate Conception Church. Family has asked that friends please go directly to church. Her burial will be private at a later date. In lieu of flowers memorial contributions may be made in Patricia’s name to Find the Cause Breast Cancer Foundation online at https://findthecausebcf.org/donate/.